Barbara Rae was born in Falkirk in Stirlingshire and studied at Edinburgh College of Art from 1961 to 1965, where she was awarded a travel scholarship, taking her to work in France and Spain in the later 60s. Rae’s work has been included in many solo and group exhibitions both nationally and internationally, her first solo show being held in 1967 at the New 57 Gallery, Edinburgh. Rae’s work is included in many private collections in Britain, Europe and the USA, as well as in many public and corporate collections. Rae’s many awards include Royal Scottish Academy — Sir William Gillies Travel Award (1983) Calouste Gulbenkian Printmaking Award (1983) and Hunting Group Prize-winner (1990). 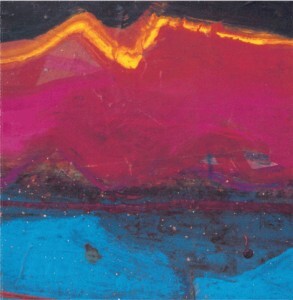 Rae was elected President of the Society of Scottish Artists in 1983. She was made a Member of the Royal Scottish Academy in 1992 (ARSA 1980), and a Royal Academician in 1996.